Adapting the environment and services to all people is part of sustainable development concept. 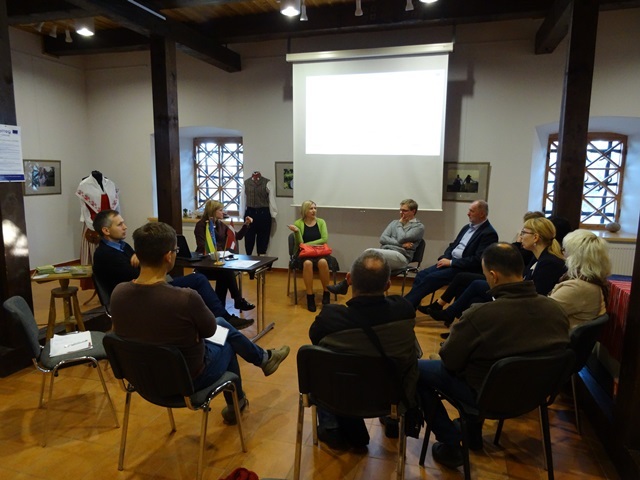 This idea generated the launching of the international conference “Accessible Nature Tourism” that was held on 19-20 October. 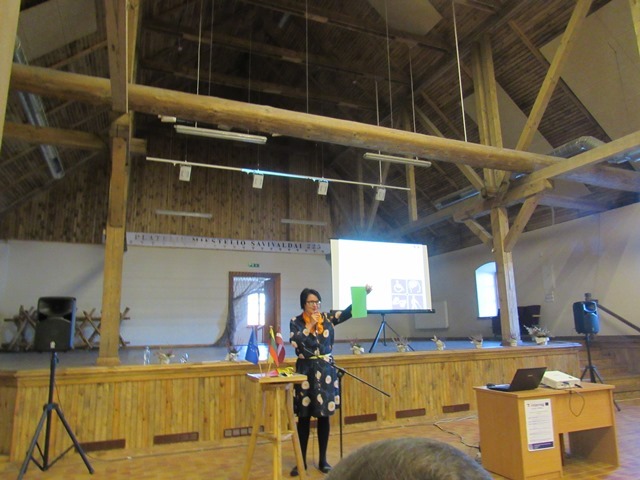 The conference was organized in Plateliai, at Žemaitija National Park. 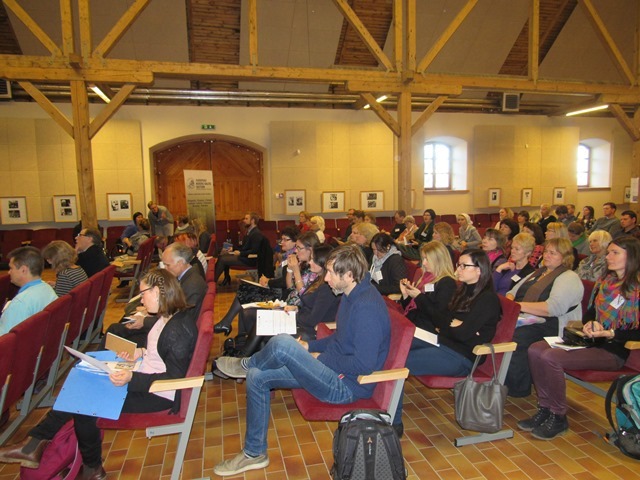 About 80 tourism specialists and nature guides from Lithuania, Latvia, Estonia, Denmark and Finland participated at the event. 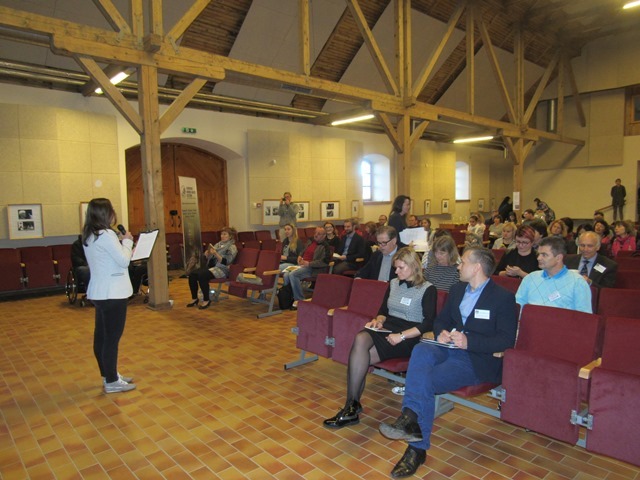 The purpose of the conference was to share the best practice in adapting the environment and services to people with special needs, identifying the problems faced by people with various disabilities. There are currently 600-900 million people in the world inhering various disabilities. Moreover, there are more and more people in senior age, there are people with temporary injuries as well as parents with children travelling with baby strollers. There are 50-80 million people with disabilities just in Europe. About 70% of them can and want to travel and get acquainted with other countries and nature objects all over the world. From a business perspective, it is a huge potential market for Europe as a whole, and for each region individually. Why is Europe interesting to tourists? There is a number of factors, such as environmental, political and social security, good food, attractive sightseeing objects, social and cultural sustainability. Europe also has a growing business and public-sector expertise, creating new services and service packages for all people, including people with special needs. It should be noted that people with disabilities expect to use the same services and visit the same objects as non-disabled people. Unfortunately, there are not as many accommodation facilities that would be fully adapted to people with disabilities as required. 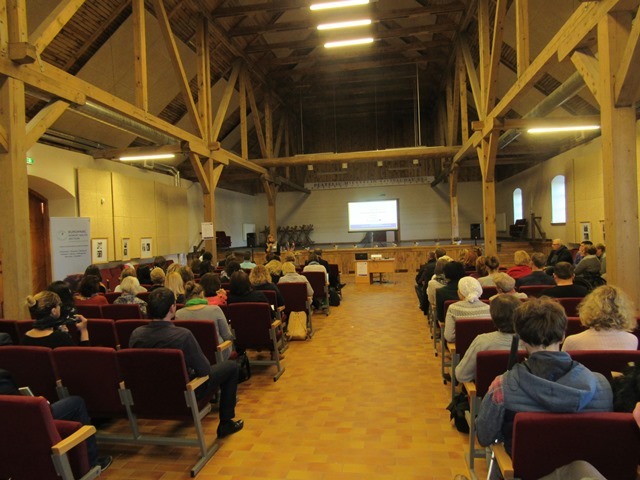 Conference attendees admitted that the adaptation of just a single object does not provide for a friendly environment to a certain area, as often only one customized object in the region is not sufficient to ensure its attraction to people with disabilities. A complete system of services and attractions must be developed, i.e. there should be a comprehensive offer of customized attractions in the area, including transportation facilities, catering facilities, accommodation facilities, convenient access to attractions etc. In addition, there is often a lack of information. When planning the travelling routes, it is not always easy to find information on how accessible the facilities and nature objects are to everyone. During the conference, the attention has also been drawn to what people often do not notice. A visible disability is usually seen by everyone, i.e. the movement disability, visual impairment etc. However, some people inhere invisible disabilities, such as various brain damage (learning problems, dislocation, disorientation etc.). 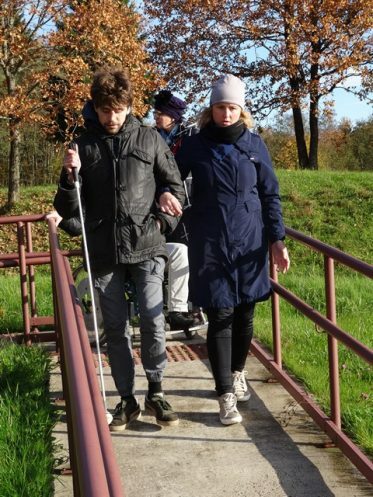 Therefore the improvement of accessibility in cities and natural environments should be carried out in a way to help people easily orient, easily access information and seek for assistance. These are the basic criteria that would allow people with such type of disability to travel independently and explore different areas. 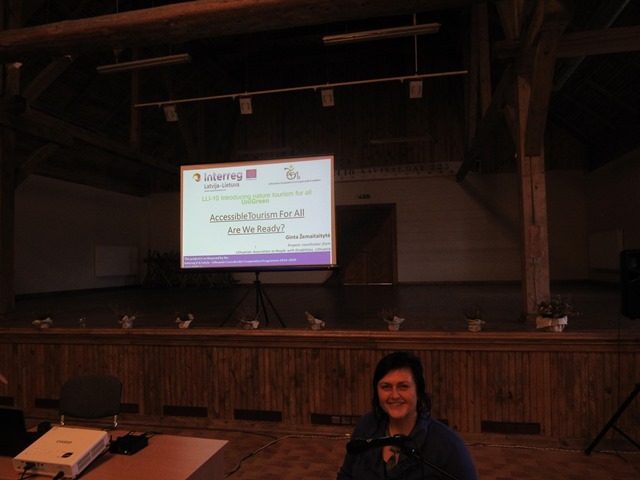 One of the best examples of how the city can be adapted for disabled people has been shown on the example of Liepāja city. The infrastructure of this city is arranged so that the people with visual impairment and people with other disabilities are free to travel independently and get to know the city. Special lining strips are provided to help guiding the people with visual impairment, traffic lights have audible signals and Braille characters that indicate the direction of the lane. Sidewalks are designed to make it easy for people with wheelchairs to move. All this infrastructure had been developed in close cooperation with the non-governmental organizations representing and working with disabled people. This example demonstrates that in order to adapt an area to everyone, it is essential to involve the non-governmental organizations of disabled people even in the initial stages of designing and planning of the infrastructure development activities. 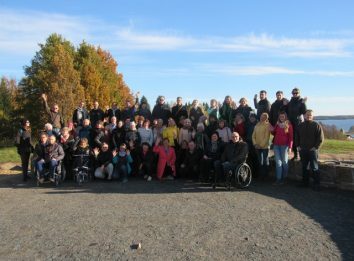 After all, the disabled people themselves are the best experts and can recommend the best ways on how to adapt the nature tourism infrastructure, products and services to their needs. 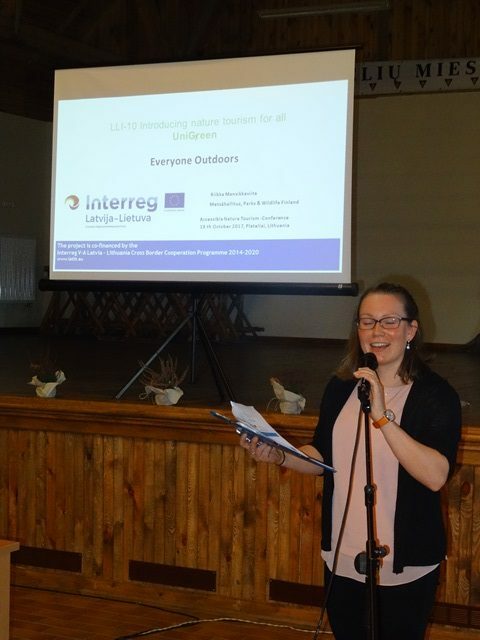 The conference participants had an opportunity not only to listen to presentations provided by Lithuanian, Latvian and Finnish experts and participate in discussions, but also to visit the already existing Šeirės nature trail in Žemaitija National Park that is adapted for people with disabilities, to observe the reconstruction process of the Plateliai Lake Viewing Platform in order to test the surface and slopes of the platform using the wheelchairs themselves and to discuss the reconstruction work and provide their opinion and suggestions. The conference has been organized as part of the INTERREG Latvia-Lithuania Cooperation Programme 2014-2020 project No.LLI-010 „Introducing nature tourim for all“ (UniGreen). 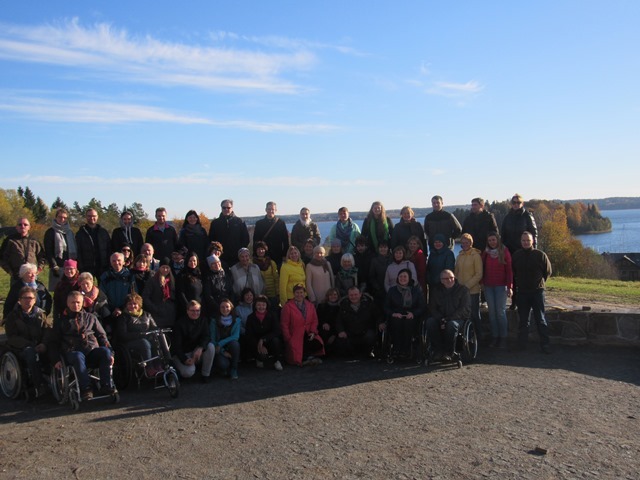 The Directorate of Žemaitija National Park is grateful to lecturers Leena Kuosmanen from the Laurea University in Finland, Māris Ceirulis from Latvia, Ginta Žemaitaitytė, which represented the Lithuanian Association of People with Disabilities, Riikka Mansikkaviita, project promoter from Metsahallitus Parks & Wildlife, Finland for their excellent presentations and Iona Necsa, the volunteer at the Directorate of Žemaitija National Park, for moderating the conference. Lektorė G. Žemaitaitytė iš Lietuvos žmonių su negalia sąjungos. Projekto "UniGreen" partnerių susirinkimas 2017-10-20 d.
Konferencijos dalyviai Platelių ežero apžvalgos aikštelėje.